Dr. Yves Plancherel is lecturer in climate change and the environment at the Grantham Institute and leads the “Endian” (Environmental Diagnostics and Analysis) research group. His research integrates field work, laboratory analyses and modelling. 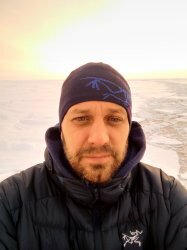 His goal is to develop a comprehensive understanding of the global biogeochemical dynamics of metal cycles to uncover how metal pollutants behave in a changing environment on a spectrum of time and space scales ranging from weeks to centuries and from a few hundred meters to multiple thousands of kilometers. As our world is transitioning into a low-carbon economy, the demand for minerals, and metals especially, will rise dramatically. Yves is trying to anticipate the pollution issues of that new low-carbon world by consolidating the knowledge base and build the datasets and tools that will be needed in the next decades. Yves started studying biology at the University of Fribourg in Switzerland, received a BSc in marine biology from Hawaii Pacific University, an MSc in Oceanography from the University of Hawaii at Manoa and holds a PhD in Geosciences from Princeton University. Prior to joining Imperial College, Yves was a James Martin Postdoctoral Research Fellow in the department of Earth Sciences in the University of Oxford, associated with the 21stCentury Ocean Institute of the James Martin School. He was awarded a UK NERC Independent Research Fellowship in 2015 and is a Fellow of the Higher Education Academy.